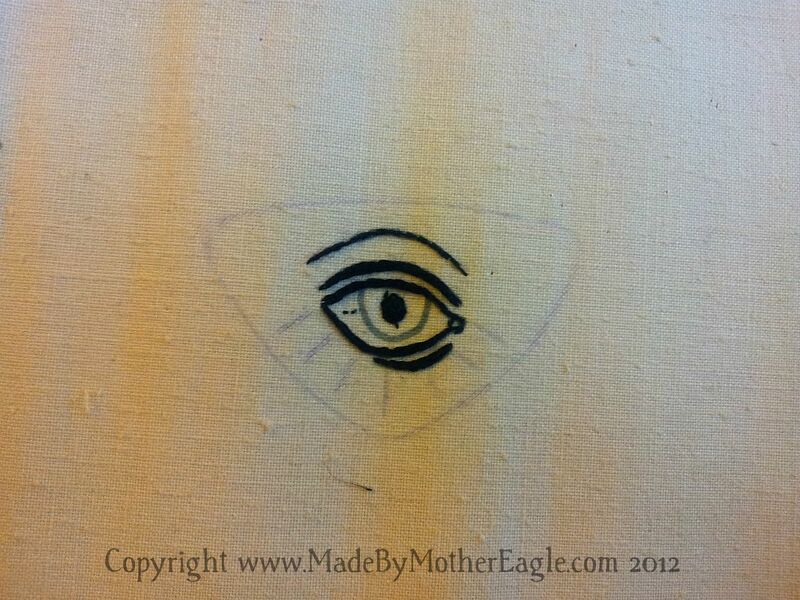 The All-Seeing-Eye is quite the little hot potato of conspiracy theory and symbolism. An eye often surrounded with rays of light and enclosed by a triangle is sometimes interpreted as depicting the eye of God watching over humankind. 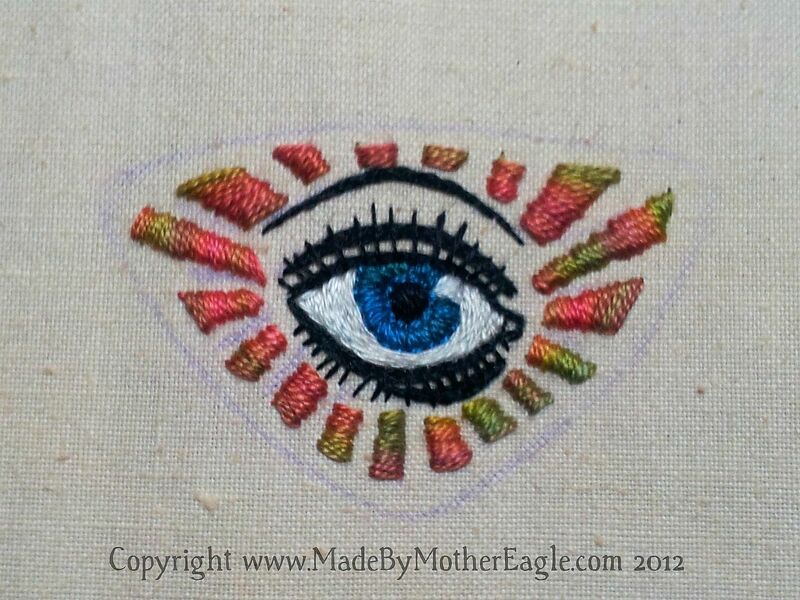 Like my Eye of Horus embroidery, this imagery can be traced to the ancient Egyptians, but also appears in Buddhist, Hindu, Caodaist and Christian traditions. Esoteric symbols swathed in tradition and mystery are right up my street, and I had some triangular pendants so it was a must-do. 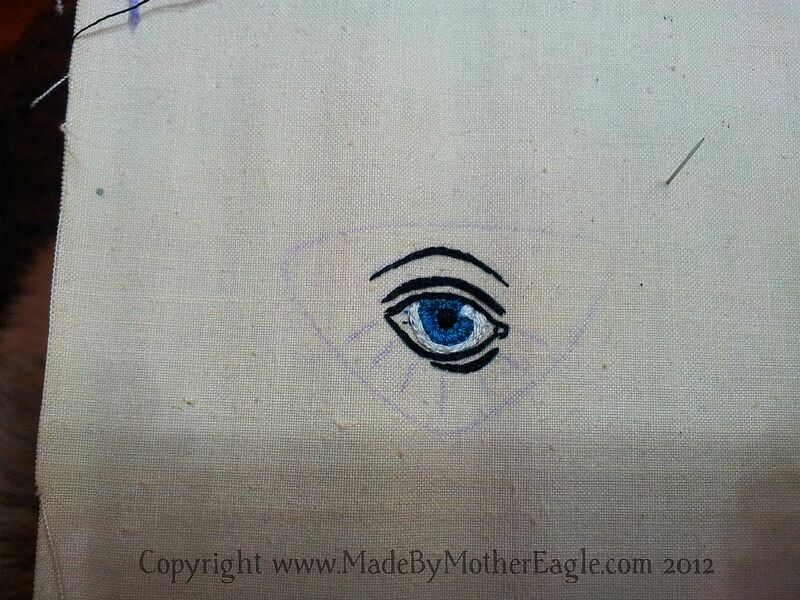 So I did the eye outline in single strand black cotton, split stitch, and after outlining the iris in lovely Kingfisher blue variegated cotton, I filled it in in satin stitch, leaving a little gap for some bright white highlights. 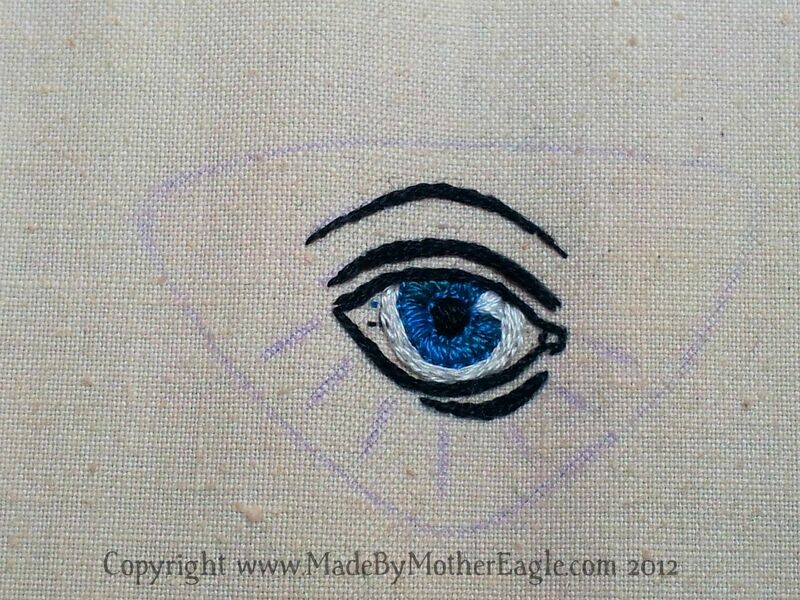 The white of the eye was also filled in in split stitch. Finally I added detail with the eyelashes in straight stitch, and those glorious, psychedelic rays, done in satin stitch in the most gorgeous rainbow variegated hand-dyed cotton.